These are beautiful Sherrie!!! I'm sure the teachers loved them, too. Thank you so very much for joining our 'Anything Goes' Linky Party at PDE!!!! OMYGOSH!! Those are ADORABLE!! I loveeeeeeeee them!! Merry Christmas!!! Merry Christmas, these are fantastic. Love the quick tutorial on how you made your candles! 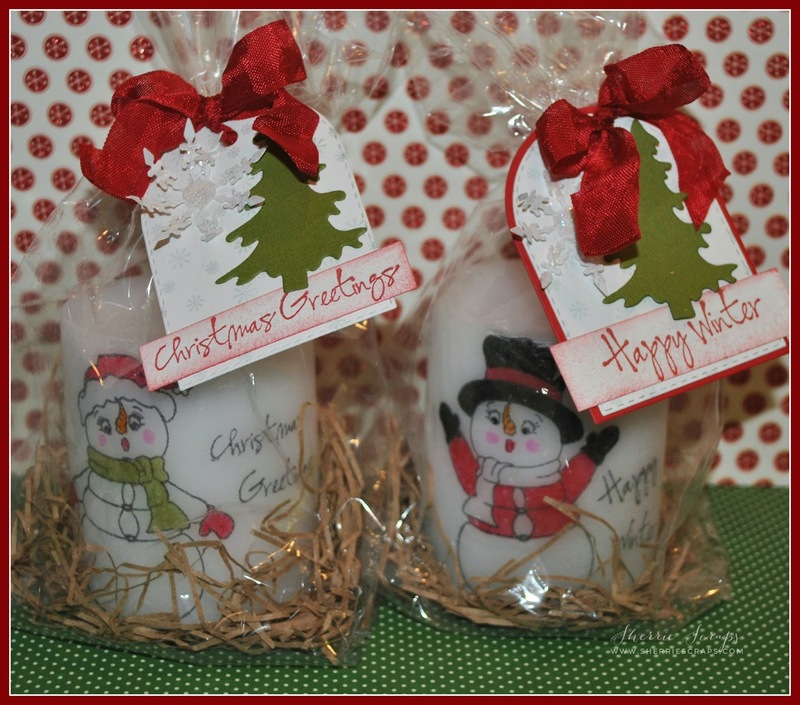 These are super cute...Merry Christmas! 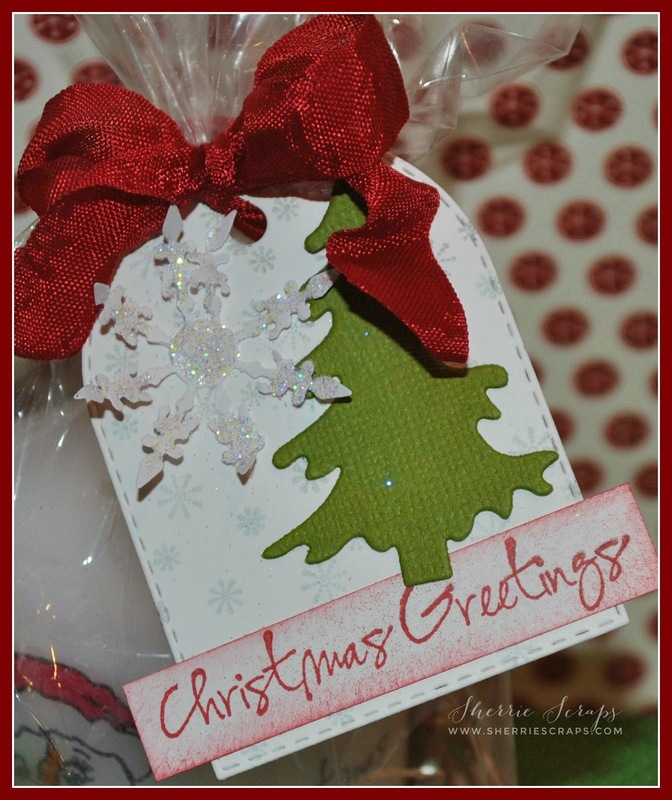 Stopping by Sherrie, to let you know my Christmas Wish for you is to have a Merry Christmas and that the new year brings you good health, lots of love and plenty of time to craft. BTW, the gifts you made for Ava's teachers are fabulous. Love those tags. Such an adorable project! I'm going to have to try this! Wishing you a very Merry Christmas and a Happy Holiday season! OMG! I LOVE your candles! !Adorable my friend!!! Fabulous! Thank you for Linking Up at PDE Linky Party. These are darling. I haven't heard of that transfer method before. My list of things to try next year is growing. hanks for the inspiration. I hope you had a wonderful Christmas and have a relaxing weekend. These are cute! What a great idea. What do you use to heat set the image? Oh my goodness, your candles are so stinkin' cute! So much cuter than anything you see in the store. I love the way they turned out and I'm definitely going to give this a try in the future. 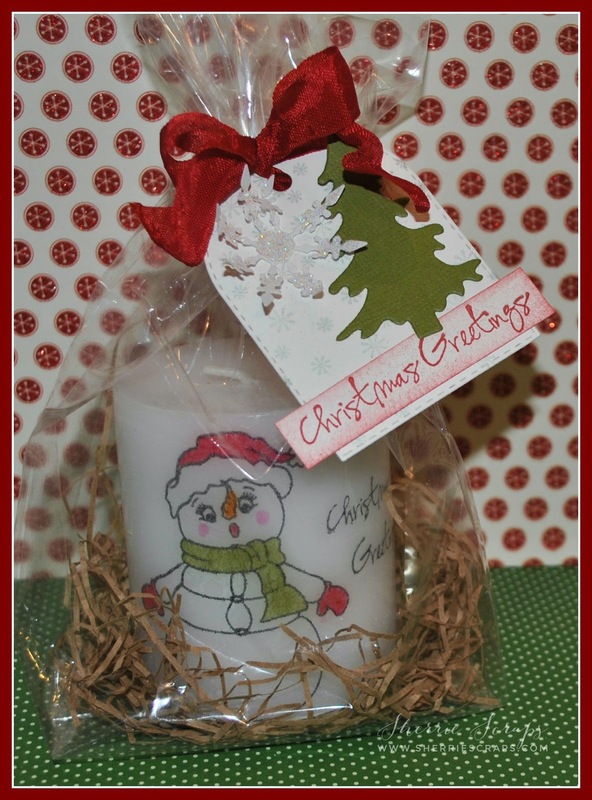 Not only are the candles as cute as can be, I love your packaging - the icing on the cake! These turned out so cute and I know Arya's teachers just flipped for them. How unique and fun to receive something so special! She will remember her years to come each year when she pulls those out! Very Special!